To the extent permitted by law, you agree that Unified Lawyers Pty Ltd trading as Unified Lawyers, will not be liable to you or anyone else for any loss or damage, howsoever caused that may be directly or indirectly suffered in connection with the use of this website or other entities linked to this website. 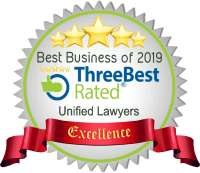 Unified Lawyers makes no representation or warranty as to the reliability, accuracy or completeness of the information contained on this website or that the website will be uninterrupted or error free. We are not liable to you or anyone else if interference with or damage to your computer systems occurs in connection with use of this website or a linked website. Unified Lawyers may, from time to time, change this website without notice. Unified Lawyers does not undertake to keep this website updated and is not liable to you or anyone else if errors occur in the information on this website or if that information is not up-to-date. To the extent permitted by law, all representations, warranties and other terms are excluded. All trade names, trademarks, service marks and logos displayed on the website are proprietary to Unified Lawyers and are protected by applicable trademark and copyright laws. This website contains links to other websites. Those links are provided for convenience only and may not remain current or be maintained. Links to those websites should not be construed as any endorsement, approval, recommendation, or preference by us of the owners or operators of the sites, or for any information, products or services referred to on those other websites. Your use of any link to a linked website is entirely at your own risk. Unless otherwise stated, Unified Lawyers has no relationship with the owners or operators of those linked websites and no control over or rights in those linked websites.